Baseball is a team sport until you or your son becomes a pitcher, then it is very much an individual sport. That statement is not true, but try telling that to any little league pitcher, or his mom or dad. All of a sudden you or your son is running the show. And now, every fielder's performance becomes crucial to you. Two outs and a ground ball to the shortstop and the inning should be over. However, if the shortstop throws it away, you are back to work. Little league pitching is a tough position to play, and there are going to be lots of ups and downs. However, the pitcher is involved in every play on the field, and he controls when everything starts. And like I mentioned above, when you are on the mound, every play in the field has a big effect on your performance. And at the same time, errors are going to happen. You can not let them bother your performance. So it can be a fun position to play, but takes lots of patience. My wife had to run and hide whenever one of our sons would pitch in a little league game. There are two reasons for her reaction. The first and foremost reason was her nerves. If you have not already learned, throwing strikes can be a very tough thing to do in little league pitching. And if your son is the one having control problems it can be very nerve racking. The second reason she would walk away was to get away from other parents’ comments. When a boy is having trouble throwing strikes, someone is going to say “Just throw strikes” or “Just play catch out there”. Let me tell you something, that boy on the mound struggling wants to throw strikes worse than any one else at the game. And to hear “Just throw strikes”, does him no good, even if it is from mom or dad or the coach. Everyone is better off not saying anything. Only the coach should suggest changes in his delivery. 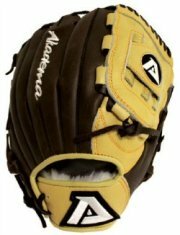 Sorry about that ranting, but nothing burns me up more than to hear parents yell “Just play catch”. Like I said above, he is trying as hard as he can. Unless you see a big flaw in his delivery, there is not a lot you can say. The pitcher probably needs some more pitching practice, and a game is a tough place to practice. If it is your son, just be ready to try and lift his spirits after the game. 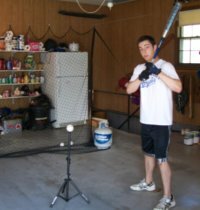 One more thing I would like to discuss before we get into little league pitching drills and that is pitching limitations. My advise is to follow their limits on pitch counts and on days of rest after pitching. If you are the parent of a boy who pitches, you need to have a clear understanding with his baseball coach on pitching limitations. 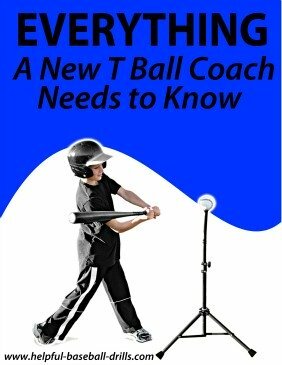 Many a parent has learned the hard way that little league coaches will over work their pitchers. Pitchers are almost always in short supply, so good young pitchers will get over worked if someone is not keeping track. 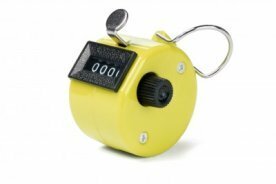 And for real peace of mind, you should buy a pitch counter. It's a handy little item that doesn't cost much. You can find them in a sporting goods store or online. And let me tell you, many a coach will agree with a pitch count limitation, but will try to bring their pitchers back too soon. Many times I have seen a young pitcher throw 80 pitches on Friday night in a tournament. Then be brought back in to pitch on Sunday and throw 80 more pitches. If he is 11 or older, then 80 pitches in a game is ok. But, according to the Little League Organization, after throwing 80 pitches he needs 4 days rest. So please, talk to your son’s coach and protect your son’s arm. And if need be, you be the one who counts his pitches. According to many medical publications baseball pitching injuries are increasing dramatically. Don’t let your son be added to this stat. With all that being said, here are my three recommended little league pitching drills. To continue reading and checking out these three drills, please click and go to this article, "Pitching Tips - Bullpens, Long Toss and Workouts".